Gary Johnson has been drafted in as an eleventh hour replacement for the injured Lee Johnston at this week’s Ulster Grand Prix. Johnston fell from his 250cc Honda in a wet opening Lightweight/UltraLightweight practice session on Wednesday, suffering a broken collarbone meaning he’ll miss the remainder of the week’s action. 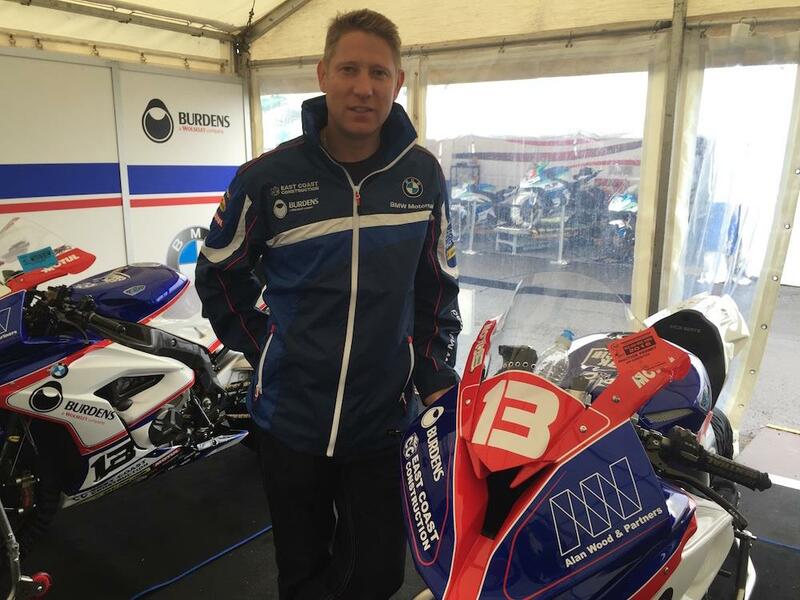 With everything set and ready to go, the East Coast Construction Burdens BMW team have called in Gary Johnson, who wasn’t originally set to ride at the end, as a last minute replacement. Johnson flew in overnight, arriving at Dundrod at 11pm last night. Johnson isn’t without experience of the ECC BMW having taken his first TT victory with the squad on a Honda five years ago. “I rode with these guys in 2011, had my first TT win with them and they are a great team and I’ve worked with every one of the mechanics at some point. I’m chuffed with that; the Triumph is a brilliant 600." “2013 was last time I was here at the Ulster so it’s been a few years but the track is still the same. I’d liked to have been going out in dry weather but it is what it is. The team runs different tyres to what I normally run, I’m usually on Metzelers but they run Dunlop, so there are a few little variations but I’m looking forward to it.